Making It Rainfall Week 7: Happy Holidays! It’s that time of year again. The weather is colder, the nights are darker and we eagerly await our respective breaks from our jobs and stress to revel in the holiday season. Regardless of what holiday you celebrate, this is a festive time of year, and here at oprainfall we thought we’d celebrate that with some holiday themed levels. 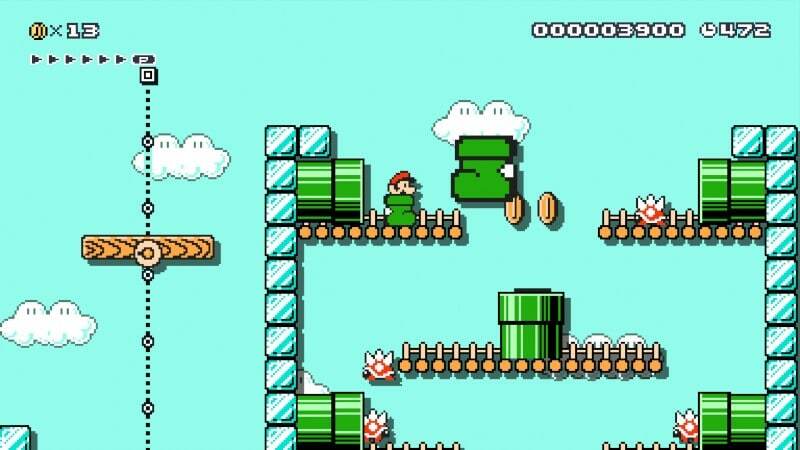 This proved a challenge, since there are no ice level themes in Super Mario Maker, but we made do with our wit and creativity. Also, as our gift to you, we made this an extra big article, with a grand total of 7 levels for you to enjoy. 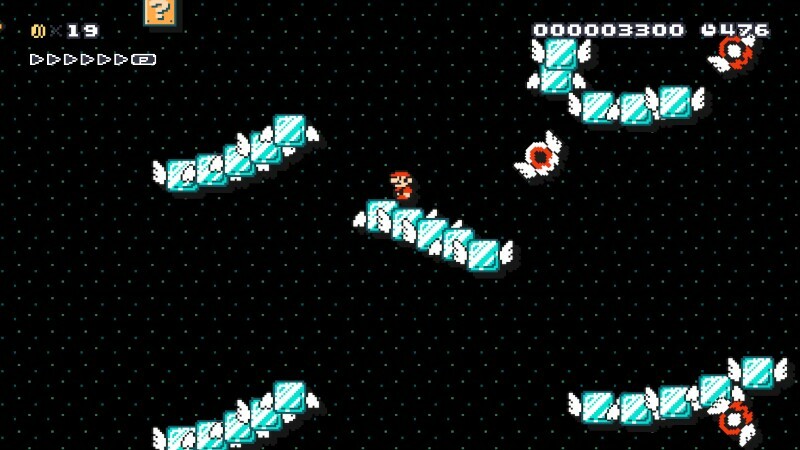 As always, I have personally tested all of them to make sure none are unbeatable, and I personally think this batch of levels is the best yet. So please unwrap these presents, from oprainfall to you! I wanted to make a no frills ice level with some firey obstacles and a few secret areas. There are no warp pipes, so it’s more or less a straight shot from beginning to end with some enemies, pits, and fire traps in between. Also, while I rarely stack enemies in my levels, I had a little bit of fun making the end goal challenge. I’m looking forward to the upcoming update to see how fast people can beat this. While Christmas may be on the minds of many, it’s not the only big holiday this time of year, so I thought I’d honor that with a Hanukah themed level. Not sure how it became a Ghost House, other than I love alliteration. 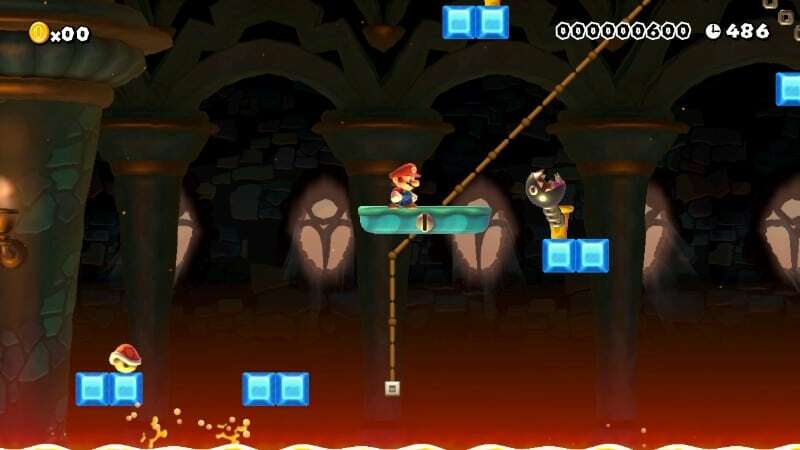 As for the level itself, it starts out at a giant menorah, pictured above, that opens up various paths to the checkpoint. Some are harder and some are easier, but all of them should provide a good challenge. As an extra incentive for the brave or greedy, there are exactly 100 coins hidden throughout the level, so try and beat it while collecting all of them for an extra life! It may be the holidays, but since Winter is also a time of darkness and cold, I thought a great level would be one devoted to ghosts and skeletons. Dry Bones’ Ice Fort is another level with multiple paths, and lots of challenge for the unwary. These undead foes utilize the weather itself to protect themselves from Mario’s bouncing onslaught. Can you survive this gauntlet of ghouls? Or will Mario be the next casualty of the Winter frost? Like any rotten, spoiled brat, Bowser Jr. is a demanding little tyke, and he usually gets what he wants. So, despite living in a molten wasteland, he wanted his own ski resort. Like any father, Bowser capitulated and brought the snow and ice to him. This whole Castle stage is a mix of ice and fire, and plays out much like an obstacle course. It’s not too hard, but it will take your life if you aren’t careful. Can you knock some sense into Bowser Jr. at the end of the level, or will you avoid responsibility and take the easy way out of the level? It should be no surprise that Bowser hates the holidays. Seeing all those happy Toads and plumbers gets him cranky, so he decides to spread the misery with his Winter galleon, the S.S. Krampus! 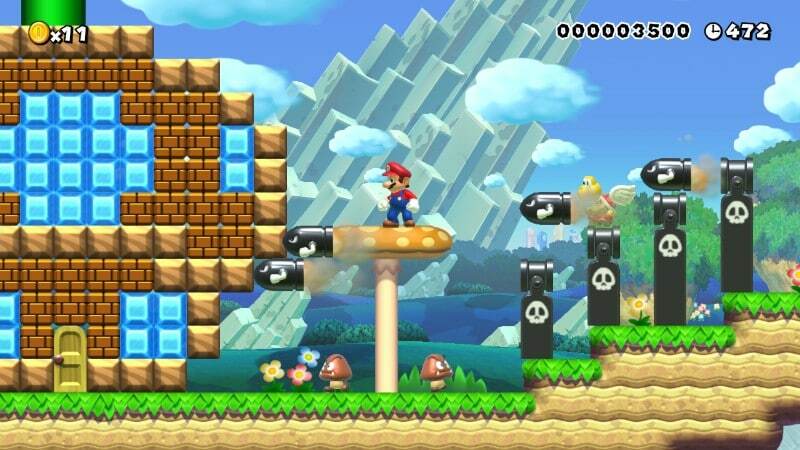 Mario can’t let that happen, and boards the flying deathtrap to put a stop to his mischief. What better way to spend the holidays than beating Bowser on his very own airship? 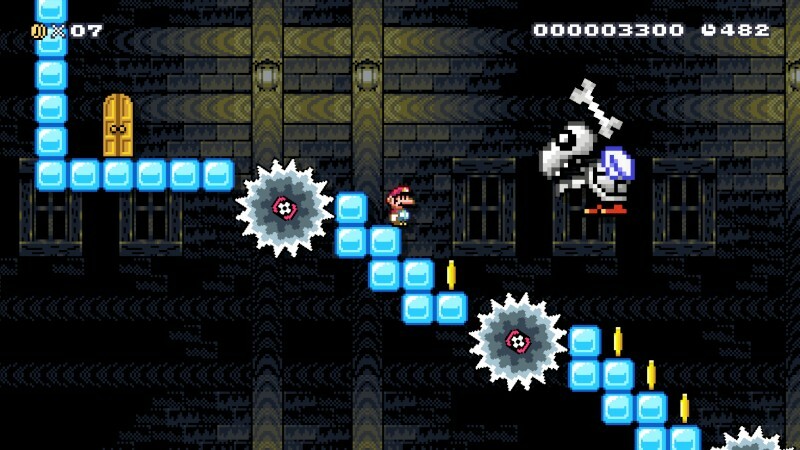 I wanted to make this level as Christmasy as possible, so I had to go with the Super Mario 3 theme to incorporate some stockings, and there is lots of ice and red hued enemies to round things out. This course isn’t too hard, but does have some tricky jumps off of Wigglers to keep things interesting. 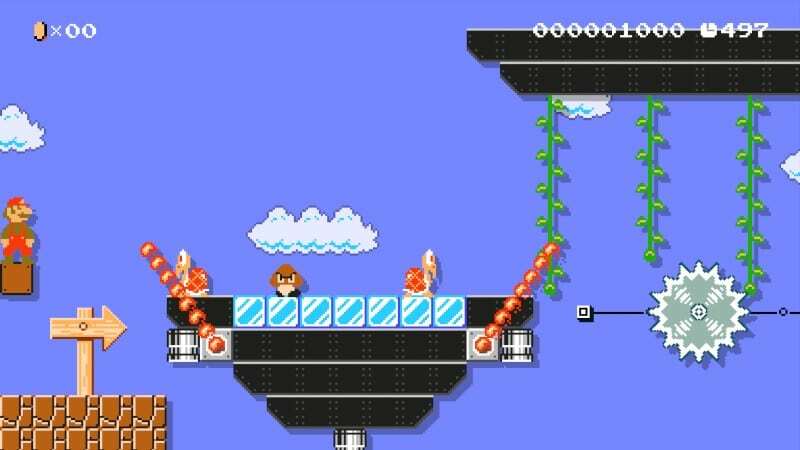 The end of the stage requires Mario to be in a Kuribo Shoe, otherwise there is no way to safely make it across the Thwomp bridge. 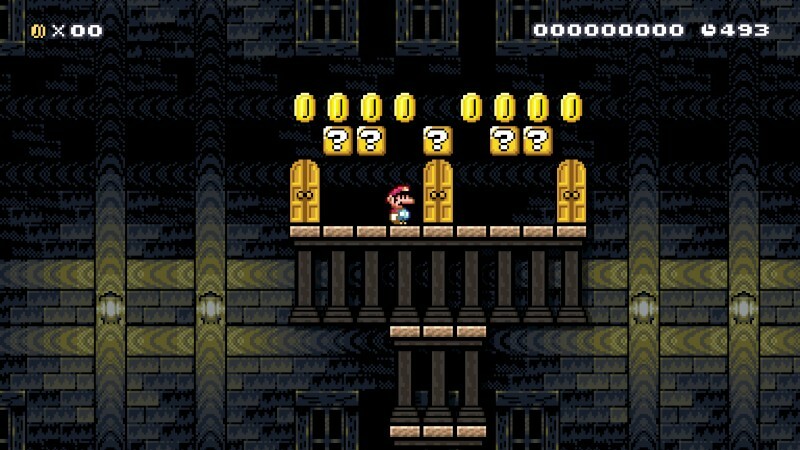 Help Mario survive to the very end! ‘Twas the night before Christmas and all through Toadville nothing was stirring, not even a mouse. A few odd noises were heard in the night, but they just thought it was Toadaclause! As the sun rose on Christmas day, all the Toads got up excitedly to celebrate! But to their horror, the Christmas trees, presents, decorations, and lights were all gone!! Even worse, the kids began to cry!! There is only one in the Mushroom Kingdom evil enough to have done this! Now Mario must spend his Christmas day saving Christmas for the Toads of Toadville! As in most of my levels, there are a handful of 1UPs hidden around to find. There’s just one question. Can you save Christmas for the poor Toads down in Toadsville? So that’s it for this week’s Making It Rainfall. We hope you enjoy these levels, and all have a great holiday season. Make sure to check back the 2nd week of January for the next article, which will incorporate new features to make some SHMUP levels!